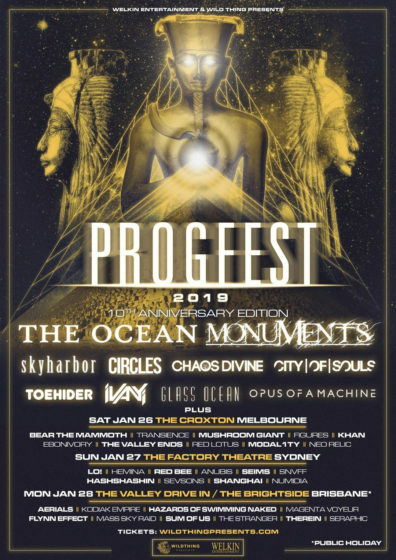 The Ocean and Monuments have now both announced special Progfest sideshows in Perth and Adelaide, to complement their New Zealand sideshows in Auckland, Wellington, and Christchurch (The Ocean only). The full national line up for all festival shows can now be revealed. Confirming a massive 40 bands will be taking part across the 3 festivals (acts to appear on selected dates as per below). Celebrating its 10th anniversary, the 2019 festival is the biggest edition ever with some of Australia’s best homegrown progressive music talent.